The water is usually soft and clean which clears dirt from our clothes. Our brothers and I are very clean as a result, and we are usually very comfortable in school because we no longer go to school with dirty clothes. 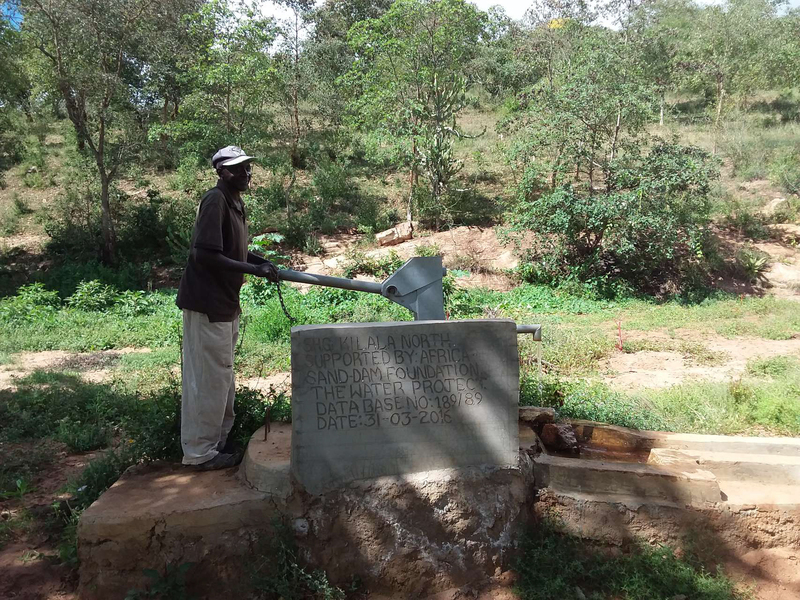 A year ago, generous donors helped build a hand-dug well for the Kilala North Self-Help Group in Kenya. Because of these gifts and our monthly donors, partners are able to visit project sites throughout the year, strengthening relationships with communities and evaluating the actual water project. These consistent visits allow us to learn vital lessons and hear amazing stories – we’re excited to share this one from our partners Catherine Mwende and Titus Mbithi with you. In the last year, having water nearby has enabled community members to irrigate their group farm for successfully harvesting kale, onion, sweet potato, yam, spinach and coriander. What they don’t eat at home, they sell in the local market. They’ve already managed to save 4,000 shillings. The survivability of tree saplings has doubled, as people have more than enough water to meet their needs. Women even tend to kitchen gardens right on their homesteads to provide easy accessibility to vegetables and herbs for meals. When the sand dam builds up sand and stores water, this hand-dug well is able to pump clean, safe water from the catchment area. A picture from our monitoring survey, completed in June 2017. 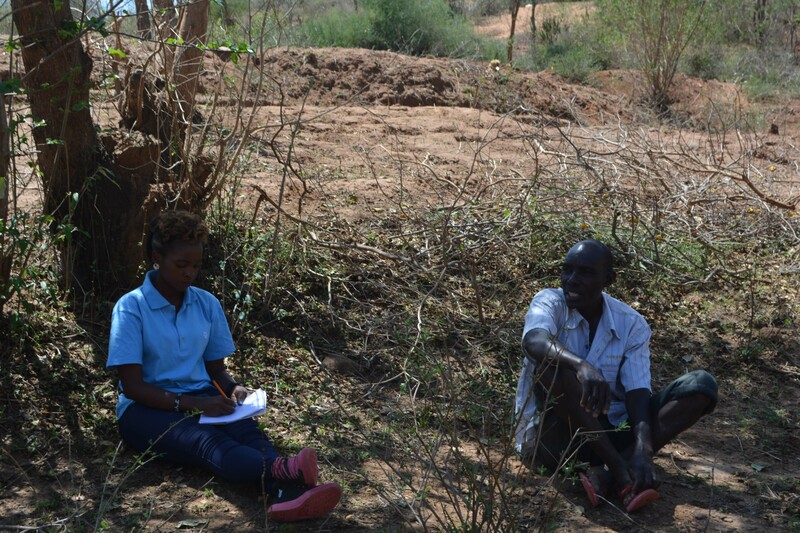 Mr. Mulinge describes how this hand-dug well has served him and his community throughout the last year. This group has benefitted greatly from the project: the various trainings provided to the members have been heeded, and diseases among the members have dropped. 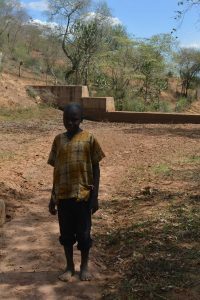 Their lands are now terraced to prevent soil erosion. They even used the well to make bricks in order to construct better houses and to sell. 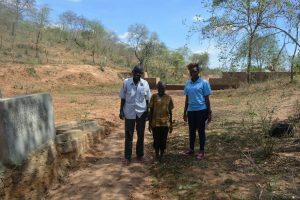 As the young sand dam continues to mature through the rainy seasons, building up sand and storing even more clean water, this hand-dug well will become more reliable. When you invest in The Water Project, you're investing in people like Munyao Nzioki. Your gifts help us reach more communities with the gift of clean, safe water. And every drop helps unlock potential.